Flags For The FE-FC Holden Car Club Of Victoria Inc. The FE-FC Holden Car Club Of Victoria Inc. have accumulated enough points through the Rare Spares Loyalty Club to redeem event flags to promote their club. The flags were awarded to the club last week as a token of appreciation for their continued Loyalty. Over the weekend the flags were proudly on display at the Cavalcade of Transport at Yarra Glen Racecourse for National Motoring Heritage Day, helping to promote their car club. 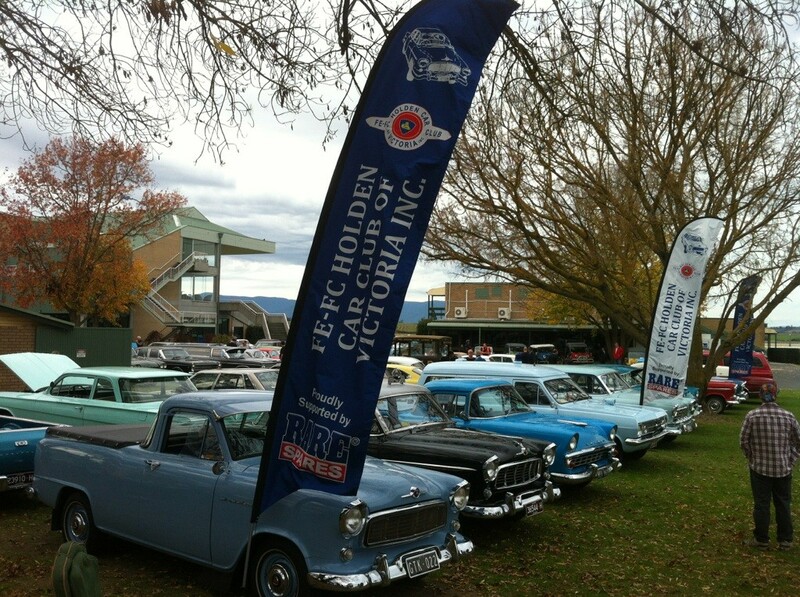 Celebrating FE and FC Holden’s, the club is dedicated to keeping these older model vehicles on the road. The club formed in 1987 and is part of the national body of FE and FC Holdens.